The Cambridge Analytica scandal brought our worst fears to life. Our data on Facebook is not entirely safe and secure. Cambridge Analytica is the only one data leak that came to light. But, there are numerous other third-party applications on Facebook that have access to your personal data without your knowledge. And, what's worse is that Facebook Messenger chats aren't end-to-end encrypted which means Facebook can read the chats. At present, Facebook Messenger and Facebook-owned WhatsApp are the two most used messaging apps in the world. In fact, WhatsApp is the top messaging app in 109 countries and Facebook Messenger in 49 countries. This means the social media giant has access to most of our information. However, it is not all doom and gloom. There are a few messaging apps and secure alternatives to Facebook Messenger and WhatsApp. The following are the eight best alternatives to Messenger and WhatsApp. Signal is a simple yet super-secure messaging app. Its backend code is open source which means anyone can read it leaving little to no room for data leak from the app developers. Its level of transparency inspires much-needed confidence. And when Edward Snowden advocates an application you must take notice. The Signal app has all the required features like text, voice calls, group chats, photo, video and document sharing. Signal has a desktop version that you can use on your laptops like Facebook Messenger. With over 200 million users, Telegram is the fourth most popular messaging app after Messenger, WhatsApp and Viber. Everything on Telegram, including chats, groups, media, etc. is encrypted using a combination of 256-bit symmetric AES encryption, 2048-bit RSA encryption, and Diffie–Hellman secure key exchange. It takes privacy seriously and doesn't give access to third-party applications. It also offers Secret Chats feature which enables users to send self-destructing texts, photos, videos and other documents. Telegram also claims that it doesn't store messages on its servers. If we can't trust a social media giant then how can we trust a search engine behemoth? Google's newest messaging app Allo can be a handy substitute to both Messenger and WhatsApp. It has all the usual features along with the option of personalizing pictures with emojis and doodles. You can also use the Google Assistant within the app for any query. The Smart Reply feature auto-suggests what you should write based on the preceding text. It is the Incognito Chat Mode that provides the much-craved security. This mode prevents Google Assistant from analyzing your content, encrypts messages and also has the option to send self-destructing messages. Viber is the third most popular messaging app in the world with over 300 million users. It is the top messaging app in 10 countries including Ukraine, Moldova, Belarus, Iraq, Libya and Sri Lanka. It has unique features like Viber Out that allows you to call any mobile or landline number in the world for a surprisingly low rate. Another priceless feature, Hidden Chat, allows you to hide a chat using a special PIN. Only people with the PIN can access the chat. It has the self-destructing feature as well. All chats are end-to-end encrypted by default. Viber is an exciting alternative to Messenger and WhatsApp. Brief is a very neat-looking messaging app that takes privacy seriously. It is used by professionals but has all the features that make it an excellent app for personal use as well. Along with the usual features, you can also create and share tasks and to-do lists which make it a great option for group projects. Its video conference feature lets you conduct a video call with up to four other people. Its screen sharing feature comes in handy when you don't want to type a long message explaining something. And, in case you sent an incorrect message then you have the option to edit it later. Brief is a thoroughly professional messaging app which is also ideal for personal use. Threema is a little-known privacy-focused messaging app that deletes users' messages from the servers after they are delivered to the recipients. In fact, groups and contacts lists are solely managed on your devices. Text messages, voice calls, file transfers, group chats and even status messages are all end-to-end encrypted. You also have the option to password-protect chats with certain users. One key thing that stands out about Threema is that it doesn't ask for your phone number. Instead, it provides you with a random eight-digit ID to use the app. Threema Web lets you use Threema on desktop and you can even use Threema for taking polls. To avoid man-in-the-middle attacks you can verify your contacts via their QR code or fingerprints. Threema is hosted in Switzerland and takes privacy very seriously. Skype co-founder Janus Friis created the uber cool messaging app Wire. It offers end-to-end encryption for all forms of communication including video conferences. You can also utilize secure guest rooms to talk to contacts that don't have a Wire account. As with Threema, you don't need to use your phone number to register for a Wire account. It also falls under Swiss jurisdiction thus your data is protected by strongest laws. Wire is actually built for professional use, therefore, you can utilize many of its professional features like secure file sharing, personal and professional account logins, sketches and conversation sync across different devices. Wire's code is 100% open source and is regularly reviewed by independent security experts. WeChat is the undisputed leader when it comes to messaging apps in China. And, it has been making inroads elsewhere lately. 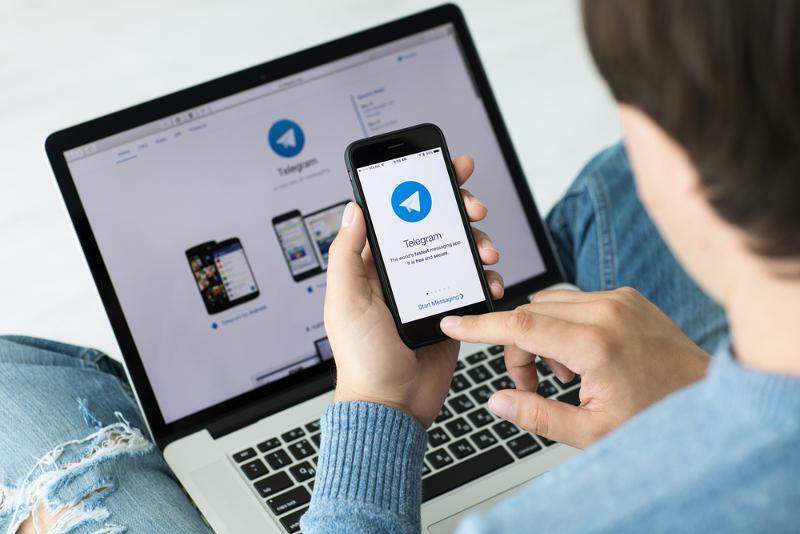 It currently has 697 million users using its various features like instant messaging, video and voice calls, group chat and multimedia messaging. WeChat has hundreds of animated stickers from your favorite cartoons and movies that you can share with your contacts. You can use WeChat to make calls to non-WeChat users around the world at low rates. It has three features - "Friend Radar", "People Nearby" and "Shake" - which let you discover new people to talk to.